Robert A. Rossi represents all types of business entities and individuals, including financial institutions, real estate operators and developers, closely-held businesses and foreign individuals. Mr. Rossi's real estate practice focuses on the representation of financial institutions and real estate operators and developers in all aspects of real estate law with an emphasis on joint ventures. Mr. Rossi has represented both financial partners and sponsors in numerous joint venture transactions, and, as a result, Mr. Rossi has a well developed sense of the goals and expectations of all parties in such transactions. In addition to joint ventures, Mr. Rossi also represents clients in other real-estate related areas, including senior and mezzanine financings and restructuring transactions. In the corporate and securities area, Mr. Rossi's practice focuses on mergers and acquisitions, private placements and all aspects of business law, including corporate structuring, joint ventures, contracts and trademark issues. 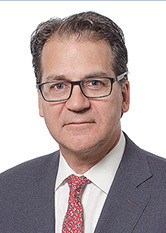 In his international practice, Mr. Rossi counsels foreign individuals and entities in connection with mergers and acquisitions, real estate investments and joint ventures. Mr. Rossi, in conjunction with the Firm's Tax Practice Group, has counseled clients from a number of foreign jurisdictions in determining which U.S. structure best meets the client's tax and corporate needs. Mr. Rossi has served on the board of not-for-profit organizations including serving as Chairperson of the Directory of Archbishop Molloy H.S. a Marist Brothers High School located in Briarwood, New York. Mr. Rossi is proficient in Italian.